• Aerobic Exercise Prescription (and strength training routine if customer wants which includes 1 month of free personal training). A unique aspect of the True Fitness Solutions Program is that, you don’t necessarily need to do your aerobic strength conditioning at Mike’s Olympic Gym or at ANY gym. If you have the resources and are the type of person that would rather be outside than inside, Mike can write your Aerobic Exercise Prescription to suit your preferences. Whether in a pool swimming laps, or on a bicycle, running, backpack walking, hill repeats, rollerblading, etc you can do a significant amount of aerobic activity outside the gym setting, if you have the resources & that desire. Don’t live locally? We have customers who live in state, but not a reasonable driving distance to use the gym, who just come to the gym every quarter for their re-testing (which includes a new exercise prescription & subsequent consulting over the phone or internet if needed). We also have customers that reside out of state. They learn about the TFS Program from our website or social media outlets & contact Mike asking how to be apart of it. 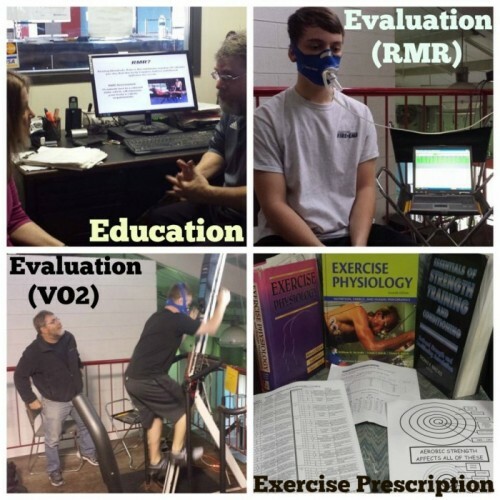 Mike will explain that you will need to find a facility (often a university) to get the testing done & then email him the results along with your goals; then Mike will write up the Exercise Prescription for you. So, YOU DO NOT HAVE TO BE LOCAL to take advantage of the True Fitness Solutions Program. If you’re in one of these two categories, do not hesitate to call Mike Craven about how to achieve your desired goals using the TFS program! Please call Mike Craven for Consulting Rates. Additionally, Mike often is asked to test entire teams who are out of state; this is manageable! If you’re out of state and interested in setting up individual or group testing at a desired location other than Mike’s Olympic Gym please inquire with Mike. If interested in franchising or replicating the TFS w/out Franchising please contact Mike.